JS' and Ola Billgren's 1991 photographic collaboration in the 90's room of "Between Realities  Photography in Sweden 1970-2000". Other artists' work seen in this image, from left to right: Ingrid Orfali, Johan Fowelin, Annika von Hausswolff, Lotta Antonsson, JS/OB. 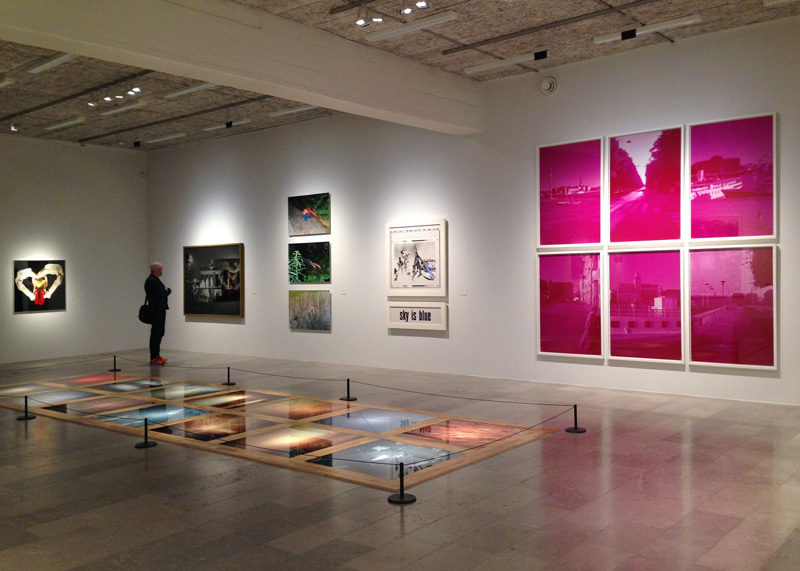 On the floor: Fredrik Wretman.Click on "Stockholm" panels for individual views. Other installation view. Photo of works not yet installed.